This crater was named after German astronomer Wilhelm Beer. It is an ancient crater more than 100 kilometers across, located south of Meridiani Planum. 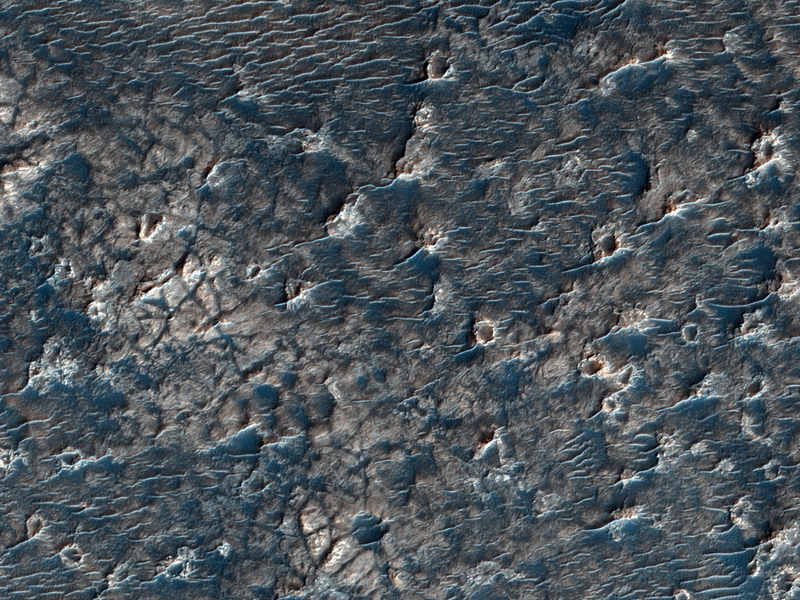 A full-resolution color sample shows fractured bedrock with dark sand filling low areas. 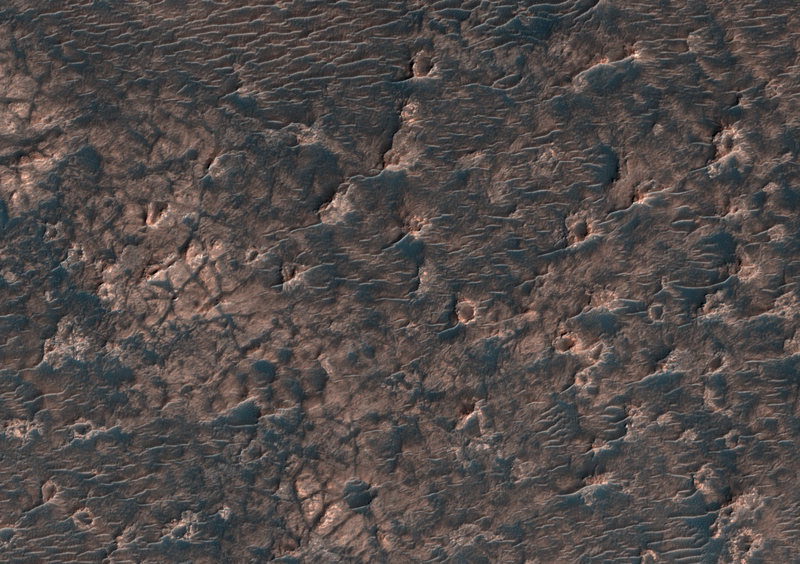 The circular rocky features are probably eroded impact craters and the thin linear features are windblown deposits. The aeolian (wind) erosion and modification of this ancient surface make it difficult to deduce how the rocks were initially emplaced, but the channeled rims suggest that these could be alluvial fans: deposits carried by flowing water (probably not beer).